Most homes with masonry chimneys have clay liners.They come in different sizes and usually in 2 foot sections. They should be sealed at each joint through-out the flue with high-temp cement or equivalent. They also require air apace for expansion. 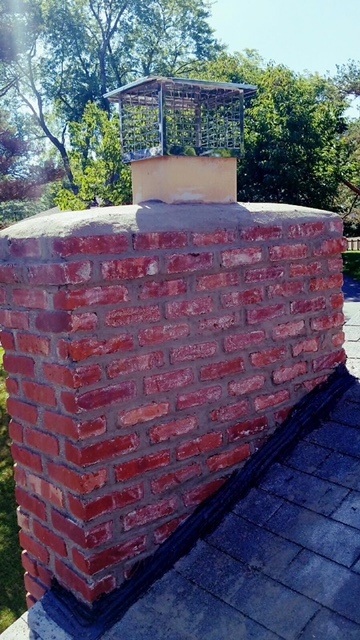 There are many reasons for an existing masonry chimney to be lined. 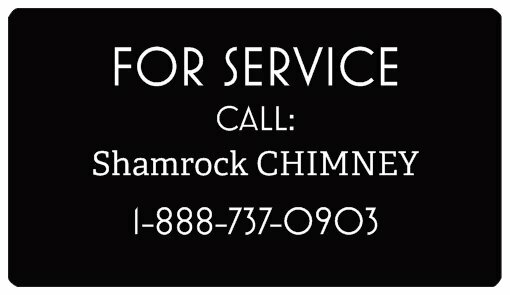 For example, if the chimney is presently unlined, or a chimney fire has occurred, perhaps it is the wrong size, or even damaged. The images on the right show examples of rigid as well as flexible stainless steel liners. If the chimney is straight up with no offsets, a stainless steel rigid liner is used. In order to install these liners we must first cut an access hole on the exterior brick wall at the level of the smoke chamber. We then clean the chimney flue and smoke chamber. The smoke chamber is coated with a solution to fill the gaps and voids. A clay tile is placed on top so that the top flashing can be installed to allow the liner to move freely with heat expansion. A storm collar and cap is also installed. 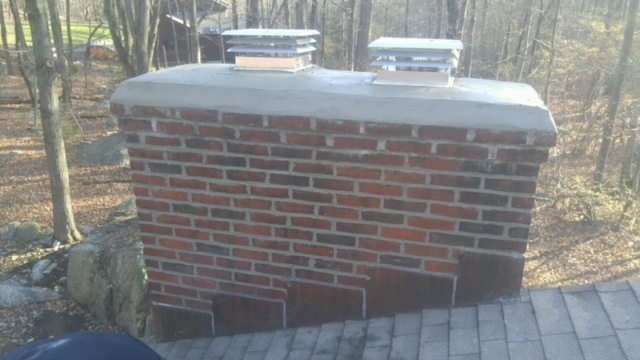 Flexible stainless steel liners are installed where there are offsets in the chimney. The new stainless steel liner is connected from the top using stainless screws or rivets and lowered down. A custom made stainless steel "Square to Round" fitting is made and inserted through the smoke chamber and connected to the liner. The liner is then lifted up until the "Square to Round" fitting fits snugly at the base of the flue. It is anchored with nail-ins to safely secure it.